They say Windows Mobile is dead. I agree, its dead on the mobile phone market. 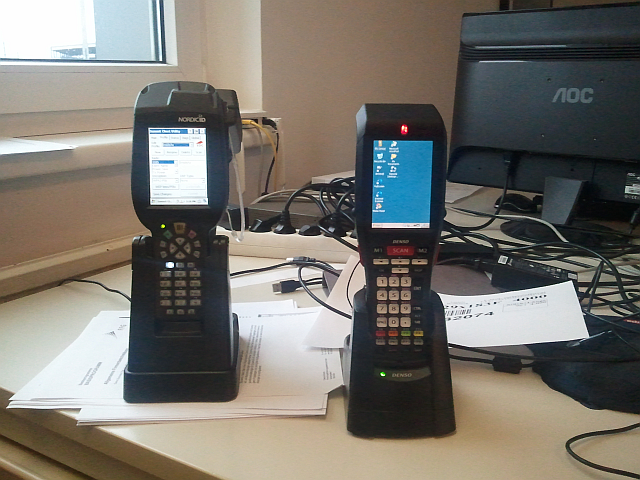 However Mobile and CE legacy OS’ are still relevant to develop mobile applications on barcode reader and RFID reader / writer devices. Just to mention ..
Windows 8 Embedded is not released yet but I am interested in how that will impact the embedded space. Lets hope the device manufacturer will build new devices based on an actual os. I’d really like to use an acutal IDE and emulator.